Say orega-yes to this star of Mexican and Italian cuisine, popular in tomato sauces, veggie dishes, salad dressing, and marinades. So closely related to marjoram that it is sometimes referred to as “wild marjoram.”” They can absolutely be substituted with in recipes. With its savory, pungent and slightly sweet taste, the flavor is bold enough to stand-up throughout the cooking process. Feel free to use, at the beginning, middle or end of cooking— you won’t be disappointed! Sold at the peak of freshness. 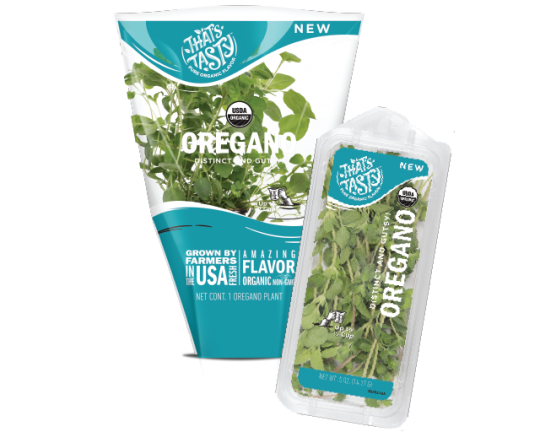 Our Oregano is grown and sold to be used right away for the best flavor. Say orega-yes to this star of Mexican and Italian cuisine. Make an infused olive oil. Place the oregano in a sterilized mason jar and top with a quality olive oil. Cover the herb by at least 1-2″ of oil. Place oil in sun and let infuse for 4-6 weeks. It’s great if you can shake the herbs in oil daily during this time. Then strain the herbs and place in a clean sterilized jar for use in salad dressing, in a marinade, dipping oil … the possibilities are endless!